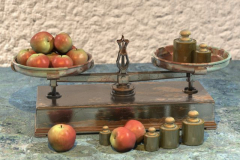 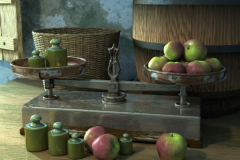 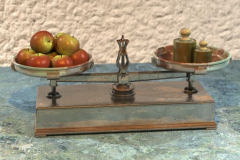 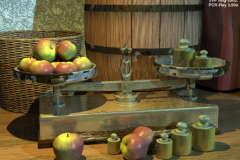 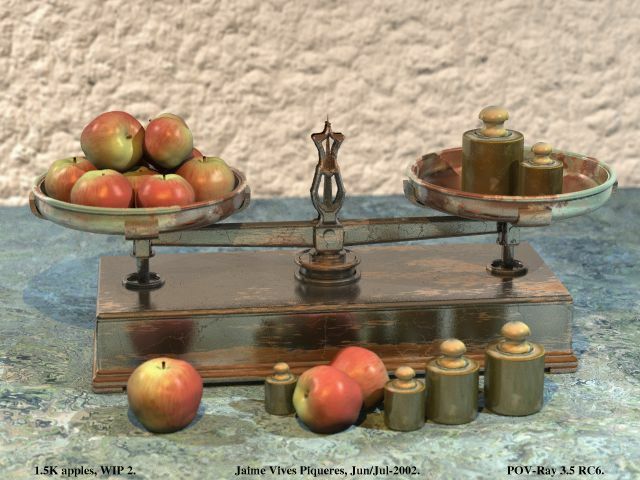 Classical stillife with apples and scale. 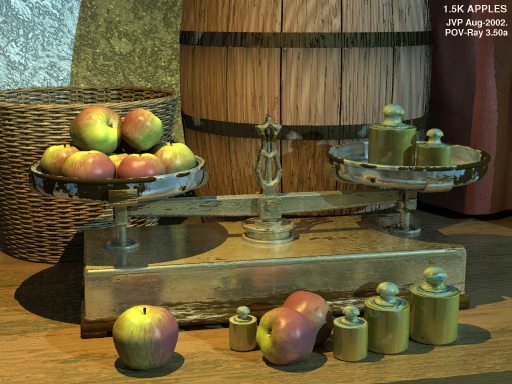 With the final version of POV-Ray 3.5 out, I decided to create a complex, serious scene. 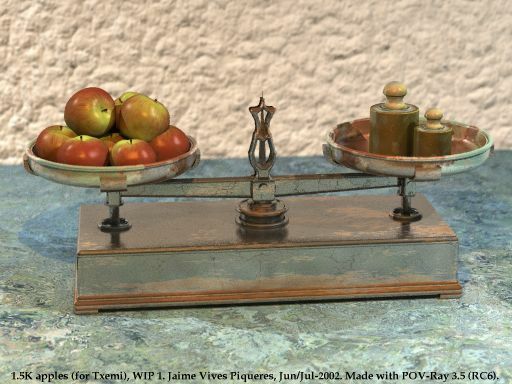 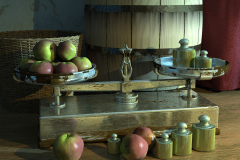 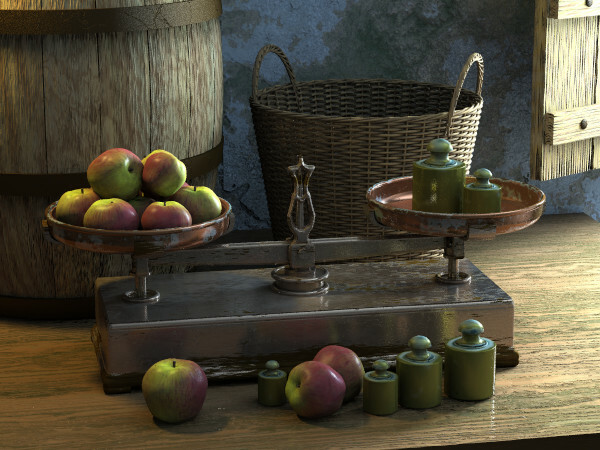 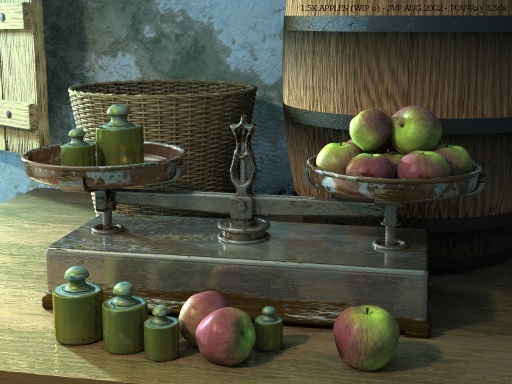 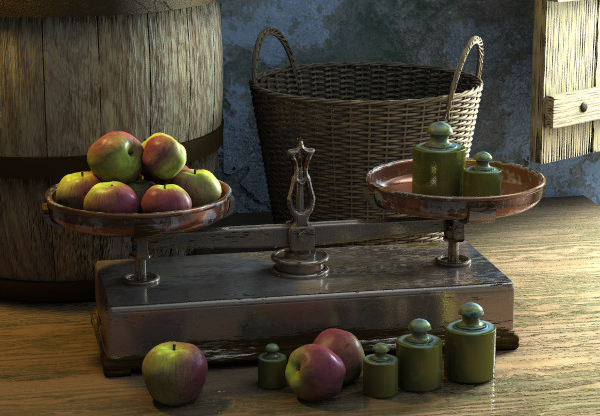 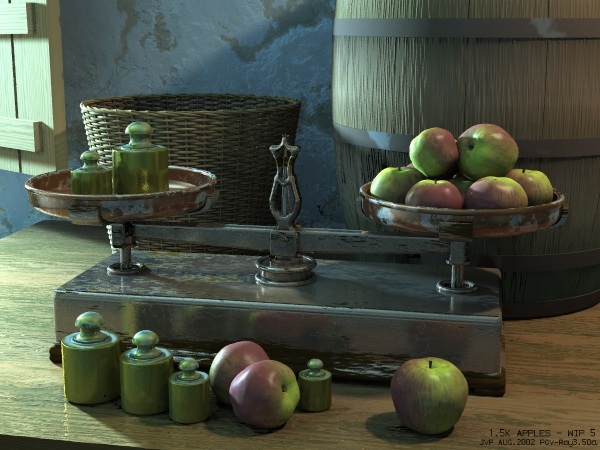 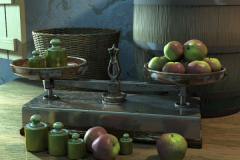 I used my recent translation of the fruit texturing macros, and also my brushed-metal experiments. 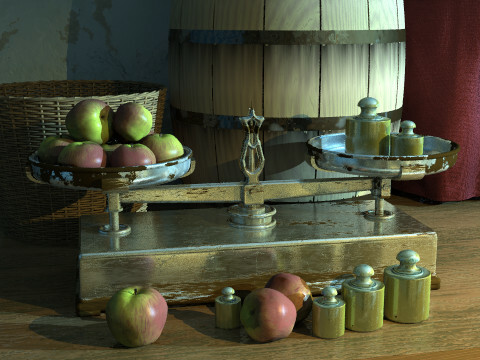 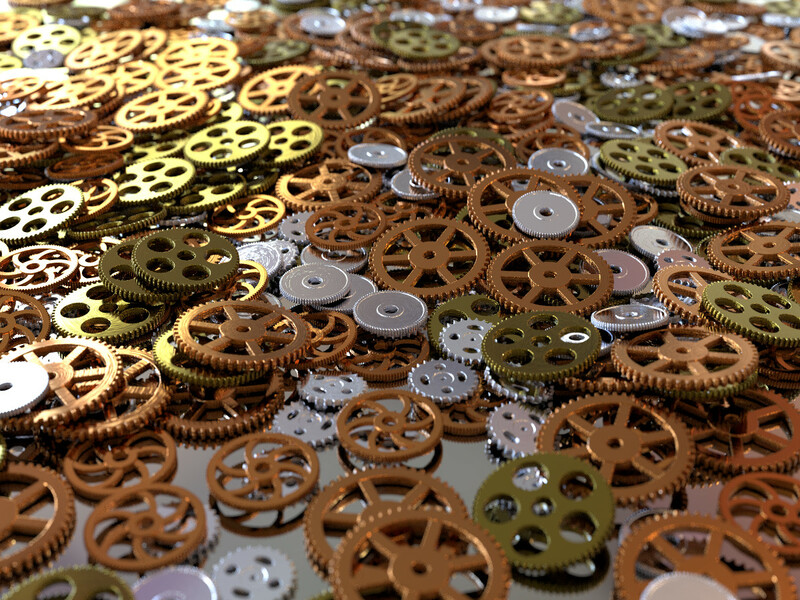 Of course, I also used my lighting macros and the load/save radiosity trick.